around the rod. 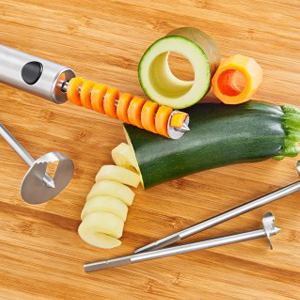 Stuff the hollowed out fruit or vegetable with delicious creations. Raw, boiled or steamed. A completely new taste experience. Made from 18/10 stainless steel. 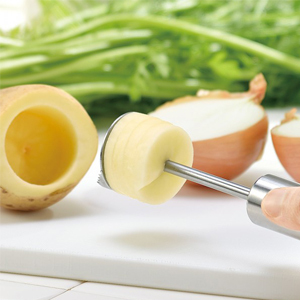 Suitable for all harder type fruit and vegetables, e.g. Apples, pears, cucumber, courgette, potatoes, kohlrabi, aubergine, onions and more. 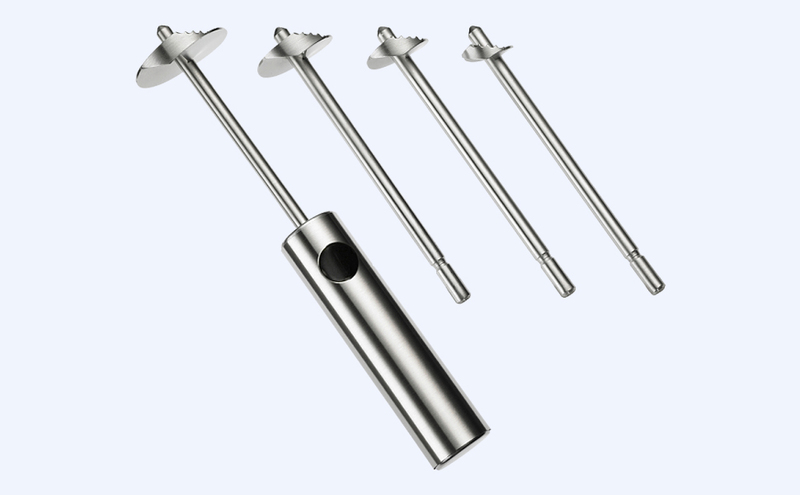 Twister creates very even hollows and the cut-out additionally winds around the rod. 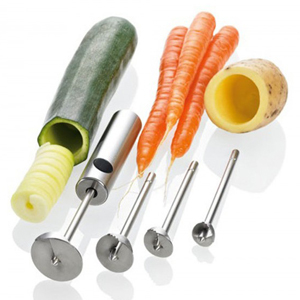 Perfect for hollowing out vegetables or fruit to add delicious stuffings.